I have been working for Scott Rivera Real Estate Team since 2004 and I am proud to be a member of such a dedicated and caring team. 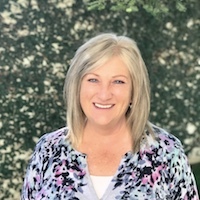 I am a REALTOR and Certified Transaction Coordinator and specialize in listing homes on the Multiple Listing Service and assisting buyers in finding their dream home. I also manage the computer server, network, database, and handle all aspects of accounting, payroll, insurance compliance, and a variety of other office tasks. I am a very detail oriented person and I enjoy helping people. In addition to my work with Scott Rivera Real Estate Team, I am the owner of Mobile Bookkeeping Service and I am a QuickBooks Certified ProAdvisor. When I'm not working, I enjoy spending time with my family, pizza Fridays, watching movies, catching up with friends, or just relaxing at home. I’m confident that you have made the right choice in choosing to work with the Scott Rivera Real Estate Team and I would be happy to help you with listing or purchasing your new home!